An accident has happened! A tanker capsized and tons of oil leaked into the water. Help 4 clever friends rescue all the inhabitants of the ocean. Clear the water and heal all the sick fish in 12 different and beautiful underwater locations. Enjoy 120 levels and 3 different game modes while you are playing! Have fun with many powerful extras and bonus puzzle games. 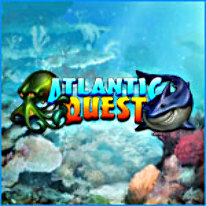 Save all the fish in this underwater match 3 adventure!